Gemstones have an aura that does not fade—just one reason we mark the milestones of our lives with them. Your engagement ring captures, in a moment and a symbol, the foundation of your love story. 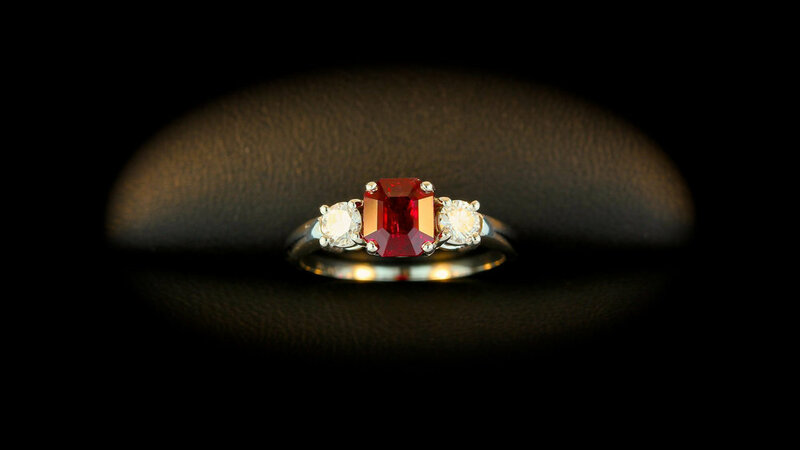 It takes on a special significance when outfitted with a colored gem. From rich rubies to splendid sapphires and mesmerizing tourmaline, each vibrant stone has a distinct story—just like you. With a deep history and long experience in gem selection and cutting, Cushion Gem is passionate about helping you capture your story and forge enduring memories. Discover the allure of colorful gemstones! Explore our rare collection of treasures.